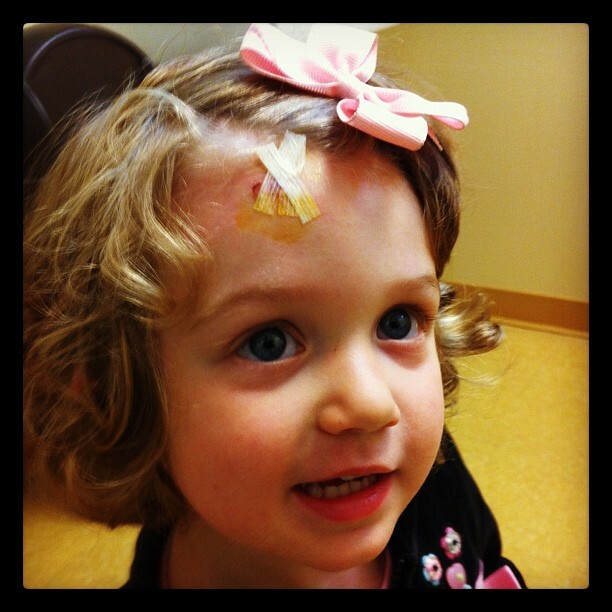 Took Sara to the pediatrician this morning and got her patched up. She’s doing good but gonna have a nice little scar as a souvenir. Home » Blog » Family » Took Sara to the pediatrician this morning and got her patched up. She’s doing good but gonna have a nice little scar as a souvenir.